Every business operating or located in the City of Port Alberni requires a business licence. The Business Licensing Bylaw regulates the operation of businesses within the City. The procedure for obtaining a business licence is available here. Complete a business licence application and bring it downstairs at City Hall. Business Licence applications are available online here or in person at City Hall. Help with filling out the application is available here or by calling 250-720-2835. If you require an inter-community licence they are available here. A Business Licence application usually takes 5-10 working days to process. Our goal is 7 days, but may take longer depending on the nature of the business activity. The Economic Development Assistant will review your application, ensure it is complete, and forward it to the appropriate municipal departments and in some instances, other agencies for approvals. You can request the status of your application at any time during the process by calling 250-720-2835. What if I operate a business without a business licence? You could be subject to a fine of $200 per day. The majority of our licence fees are $132.00 per year. 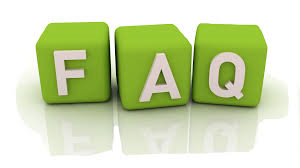 Business Licence fees are as per Schedule A – Fee Schedule of the Business Licence Bylaw. The fees vary depending on the nature of the business and they range from $132.00 to $2,200.00 per year. The cost is reduced by 50% after July 1 and stays in effect for the remainder of the year. The fee for an Inter-Community Business Licence is an additional $150.00 per year. The Inter-Community Business Licence allows businesses to conduct business in any of the 12 participating municipalities. What is an Inter-Community Business Licence and do I need one? The Inter-Community Business Licence, located here, which must be purchased in addition to the regular Port Alberni Business Licence, allows businesses to move from client to client in more than one participating municipality. This licence will save your business time and money, by not having to apply for a separate business licence in each municipality. Inter-Community Bylaw available here. How do I pay for my business licence? Business Licences are automatically renewed upon receipt of your annual payment. You will receive an invoice 4-6 weeks before the January 1 payment due date. If you do not receive an invoice in December, please contact City Hall Finance at 250-720-2819. When do I have to pay my renewal by? Payment is due on January 1. Full payment must be received before your City of Port Alberni Business Licence will be issued. If unpaid by January 31, a 25% penalty will be added to the account and the account will be eligible to be sent to collections. If my business is no longer operating, what do I do? You will need to notify the City so that your business licence file can be closed. Failure to close file will result in an invoice being sent to you at renewal time. My business is moving locations, how do I update my business licence? Fill out the Business Licence application form with the change of address and bring into City Hall. There is no fee for a change of address but the same procedure for approval will apply. My business name has changed, how do I update my business licence? Fill out a Business Licence application form with the business name change and bring into City Hall. There is no fee for a business name change. My business is changing ownership, how do I update the business licence? Fill out a Business Licence application form with a change of ownership and bring into City Hall. What happens if I am not approved? We will contact you by telephone or email to inform you of why you have not been approved. Most non-approvals are due to building, fire, or zoning non-compliance. You can avoid any zoning issues by ensuring your property has the correct zoning for your type of business prior to applying for a business licence. Building and/or fire non-compliance may be given a list of the deficiencies during the inspection and what needs to be done to gain compliance. How do I find out if I have the right zoning for my business? Call 250-720-2850 or visit City Hall to consult with the Development Services Technician to discuss your proposed business operation and the location in which you intend to be situated or click here for zoning information. Make sure you confirm that your chosen location is appropriately zoned for your business operations before purchasing or leasing property. Please note that some building code and/or fire code updates may be required in a building that is zoned correctly. Can I put up a sign? Yes, but you must obtain a sign permit. The City of Port Alberni regulates the number, size, type, form, appearance, and location of signs with a sign bylaw tailored to various zones in the community. Click here for more information. Yes, certain types of business are permitted to operate from your home, with restrictions. Home Occupations (work conducted within the home) and Home-based (work in the community based from home) in the City of Port Alberni are regulated by Section 6.15 of the Zoning Bylaw. All Home Occupations/Home-Based Businesses must obtain a City of Port Alberni Business Licence. Do I need a business licence if I have a mobile business? Yes, a business Licence is required by every business operating in the City of Port Alberni, whether mobile or stationary. What if I want to open up a food truck/cart? Do I need a Health Inspection? The City of Port Alberni requires certain businesses to have an inspection report and approval from Island Health in order to obtain a business licence. This includes all food premises (all premises that will be storing, handling or serving food (including drinks), some personal service establishments (tattooing, piercing, micro-blading, permanent makeup, etc), and pools/hot tubs. More information is available here. What if I perform business in other communities? Expanding your business to other municipalities? The Inter-Community Business Licence is available here. This licence, which must be purchased in addition to the regular Port Alberni Business Licence, allows businesses to move from client to client in more than one participating municipality. Yes, as long as each one has a valid business licence and the zoning bylaw allows it. I’ve registered my business with BC business registry. Why do I require a City of Port Alberni Business Licence? Registering your business name ensures someone with a similar business cannot have the same name. The BC registry is not a Municipal Licence. You are still required to have a City of Port Alberni Business Licence in order to conduct business in the City of Port Alberni. What is BizPal, OneStop and Service BC? If you’re not sure what licences or permits you need, check out BizPal for a checklist of permits available from federal, provincial, and municipal levels of government. This is not required for the City of Port Alberni business licensing, but may help you. OneStop is offered by the Provincial government to consolidate some provincial and federal business registration requirements. To register your business on-line, go here. This is not required for the City of Port Alberni business licensing, but may help you. We’ll help you in any way we can. You can contact the Economic Development Assistant by email at Melissa_Tardif@portalberni.ca, or phone at 250-720-2835, or in-person at City Hall.